Back in the day I was a huge Genesis and Steve Hackett fan, but I lost interest in Steve with his 1980 release Defector. Fast forward 30 years and it looks like either I have been missing out on some excellent music or Steve has returned to his roots with a vengeance. 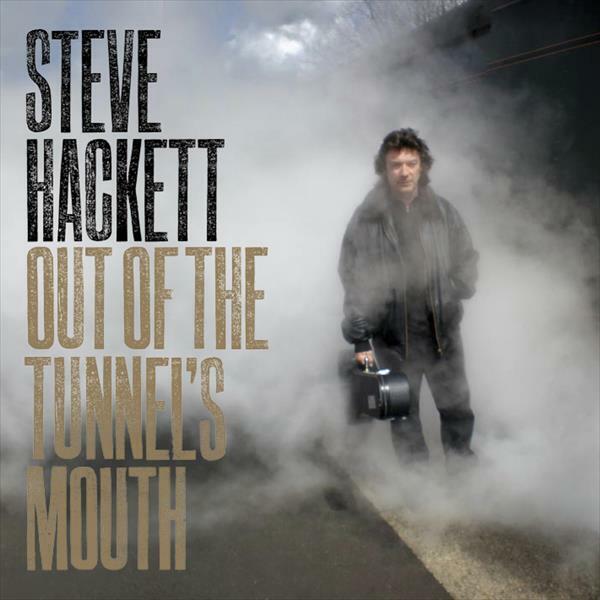 Out of the Tunnel’s Mouth, the first release on Steve’s new vanity label, is one powerful album and is the best album from a Genesis alum that I have heard in years! Steve recently emerged from a divorce, and Out of the Tunnel’s Mouth is his catharsis, with deeply personal and emotional songs that contribute to the strength of this release. The first song, “Fire on the Moon,” is a song of sorrow, regret, and the gutted wounds of divorce. The next, “Nomads,” is a superb Gypsy song, followed by “Emerald and Ash,” a song of extreme sorrow about dividing the household and recalling memories of happier times. Steve’s guitar work is superb throughout the disc, ranging from quiet Spanish guitar to blistering inspired solos. Steve is joined on this release by a total of 12 musicians on various tracks. Familiar names are John Hackett (flute), Anthony Phillips (12 string guitar), and Chris Squire (bass). The second disc on the Special Edition is a treat containing five live tracks recorded in Italy in 2009 plus a bonus studio track “Every Star in the Night Sky.” The live tracks are a mixture of early solo and classic Genesis. Highly recommended!